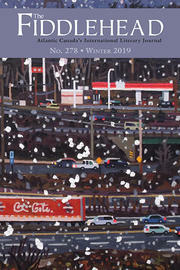 Kate Finegan's story "Blues Too Bright" won the fiction prize as part of The Fiddlehead's 26th annual literary contest. You can read an interview with her here. "Have you noticed the birds are shitting more lately?” Mother calls to ask. I wait for my eyes to focus and see that it’s six a.m. on the dot. I imagine she’s been sitting by the window since four, waiting for a reasonable hour to call. At my Jewish high school in Montreal, Mordecai Richler, of course, was a bit of a hero. Whether or not he liked it, and even though he relentlessly lampooned the Jewish community, he was still one of ours. February at our school was public speaking month. So, every February, the teachers compiled and distributed a list of quotations to all of us groaning, gawky teenagers — possible speech topics from which we were to choose. . . .
Commendations on the novel’s thematic triumphs need not be contrived by this humble author as institutions such as The New Yorker, Guardian and Financial Times have safely lionized this text as one of the most celebrated of the past two decades. But the most striking yet undervalued aspect of White Teeth, from my reading, is Smith’s awareness of the constrictions placed upon writing by those reading it — of the insistent and insufferable question demanded ad naseum, “but what does this mean?" . . . The practice of incorporating historical or “real-life” events in a fictional work is common. But the term “documentary fiction” isn’t one I’ve often heard applied to a novel.